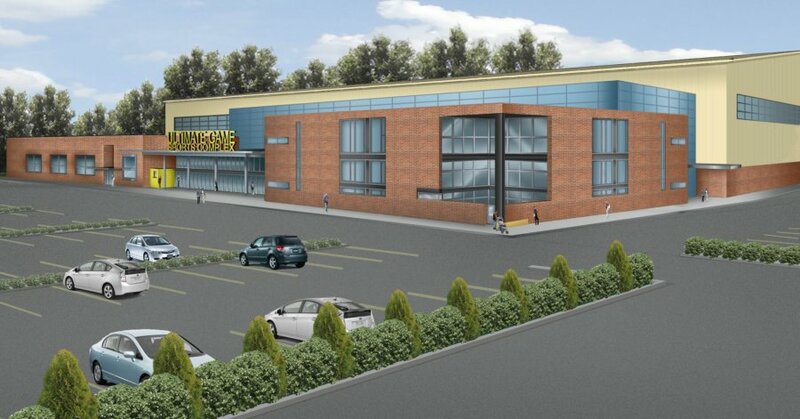 PCA performed schematic design services for a proposed indoor and outdoor sports center in the town of Islip. Both site and building renderings were prepared for the client to presentation to the town. The building design incorporated a large playing field with support spaces, including concessions, merchandise, and locker rooms, surrounding it. The site plan was designed to meet a high degree of parking requirements while maintaining space for seven ball fields. Included among the fields are various vendor buildings to be used as required for concessions and merchandise.